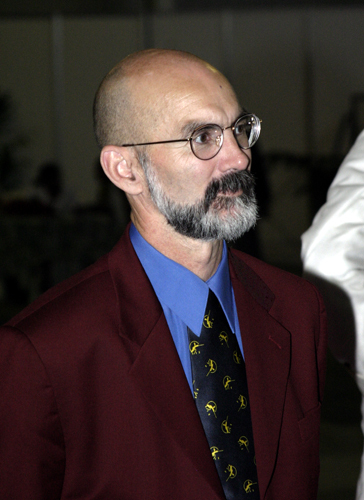 Despite the general (mis)perceptions about the dangers involved with participating in fencing, the research data clearly indicate that it is a very safe activity, particularly for novices in well supervised and carefully organized teaching situations run by experienced coaches with good equipment, such as the program operated by WFA. I have conducted the largest investigation of competition-related fencing injuries in the world to date, and published the results of my five-year study in the Clinical Journal of Sports Medicine in 2008. I was specifically interested in time-loss injuries (i.e., those injuries that occurred as a direct result of participating in a fencing competition that were severe enough to require the competitor to withdraw from the competition). The results indicated that the risk of significant injury was very low. is a very safe activity, particularly for novices..."
Specifically, for children and youth (ages eight-17 years old), the time-loss injury rate was 0.27 per 1,000 athlete-exposures (AE) (athlete-exposures is a metric used in sports epidemiology to compare injury rates across different sports). Another way to look at this number is that there was one (1) time-loss injury for approximately every 2,000 fencing matches that took place in this age group. These data are from a separate analysis for comparisons among different age groups that I presented at the 2008 American College of Sports Medicine meeting (the abstract is published in Medicine and Science in Sports and Exercise, 2008). It is also important to keep in mind that the fencing values come from national-level competitions. The rate for teaching and practice situations is even lower. Comparing the injury rate for fencing with other popular sports, for high school-aged athletes, the combined rate for United States Fencing Association (USFA) Under-17 and Under-16 divisions was 0.34 per 1,000 AE. Results from the High School Sports-Related Injury Surveillance System for 2005-06 indicated the rate of a time-loss injury in high school soccer was 14 times greater than for fencing and 10 times greater in basketball. The high school sports with the lowest rates, boy’s baseball (1.77 per 1,000 AE) and girls’ softball (1.78 per 1,000 AE), were still 6.5 times higher than for fencing. 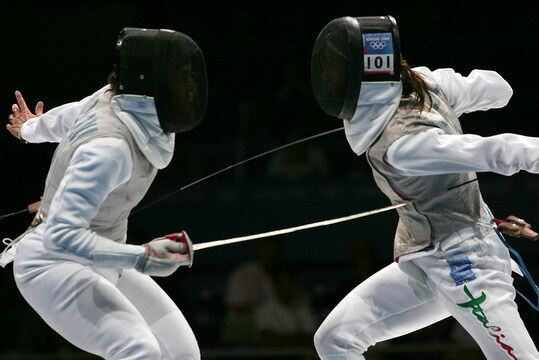 In the matrix for establishing appropriate levels of medical care in intercollegiate athletics published by the National Athletic Trainers Association in 2000, fencing was tied with golf as the lowest ranked (i.e., least risk) of the 22 sports examined. It should also be noted that there have been no fatalities in the 100 year history of fencing in the USA and only three in fencing competitions world-wide from 1995-2007. However, research on fatal injuries in high school and college athletes in the USA shows that just in the decade from 1995-2005, 143 American football players, 63 basketball players, and 20 soccer players died as a result of participation in their respective sports. It is clear that the risk for fencing in general, and for the types of programs offered by the WFA in particular, is significantly lower than that for more "mainstream" sports activities but that the types of injuries that occur are similar (e.g., sprains, strains, etc). Content copyright ©2003-2018 by Washington Fencing Academy Inc.